Paper originally presented at Sounding Out 5 (8–10 September 2010), Bournemouth University (UK). Revised for publication in eContact! 13.3. Due to technical developments in computer-based sound editing, the inclusion of imaginary spaces in electroacoustic music has been possible for quite some time. Imaginary spaces are those that are not perceivable in reality. These spaces arise when one alters the acoustic features or spatial indicators of the space so much that its space impression seems unrealistic or imaginary. In the formation of imaginary spaces, and even in the stimulation of the listener’s imagination, electroacoustic music provides a degree of control that is superior to instrumental music. Electroacoustic music is thus suitable in many contexts — for instance, virtual reality computer games and film. Electroacoustic music also provides composers with flexibility in the formation of abstract ideas and the development of new musical languages based on sound metamorphosis. Such an art enables sounds — with unknown tone colours, unrealistic space impressions, and abstract contexts — to detach listeners from the real world and intensely activate the imagination. Although the use of imaginary spaces (or a combination of imaginary and real spaces in an abstract musical context) is nowadays common in all composed music, musique acousmatique identifies itself particularly with such a musical language. It is hence a music that serves subjective stimulation through sound metamorphosis in a narrative context. This paper tries to explore the role and importance of spatialization in the music of musique acousmatique composers and throws light on many theories and discussions around the topic. the re-definition of those components which pave the road for music in radio plays and audio films on one hand, and multimedia combinations of the audible and the visible on the other hand. Musique acousmatique can be distinguished from musique concrète with respect to two important points: first, while musique concrète is seen mostly in connection with Paris and influential names such as Pierre Schaeffer and Pierre Henry, musique acousmatique looks outwards and engages many composers from America, Australia, and several European countries. Musique acousmatique establishes its own directions, among which British and Canadian contributions are particularly noteworthy. Second, while in musique concrète “the sound itself” and sound synthesis carry considerable weight, the main elements of musique acousmatique relate to the function of morphological deformations of sound. Thereby auditory information can be understood as converting into visual forms; for example, Robert Normandeau called musique acousmatique cinema pour l’oreille [cinema for the ears]. By these means, a type of music has emerged that has become detached from the real world and its visual phenomena in order to build an independent virtual world of imagination. Something is heard in it that is reminiscent of something else. Ligeti says: “Music is not only itself, but the imagination of something else” (Ligeti 1974, 7), a statement that applies to musique acousmatique in a very powerful way. Music behaves differently if it stands alone as opposed to arising in combination with other art forms. The combination of music and other performing arts is important here. Visual perception is more primary in our lives than aural perception, and it strongly influences the latter. Many authors have called the human being an “eye creature”. Regarding space and spatial perception, visual influence is particularly critical. Gary Kendall emphasizes this influence, but understands visual and auditory phenomena as complementary to each other: “there is no area in which the visual and auditory systems would seem more complementary than in spatial perception” (Kendall 1991, 72). Henry Brant has also engaged with the issue in the context of musical instruments, but he maintains that visual factors in the performance of music are unnecessary and very disturbing (Brant 1967, 241–42). It is not difficult to come upon concepts or terms, even in technical literature, that point to the power that vision holds over our perception. For example, the term “visual capture” describes visual dominance over spatial localization. Begault offers another relevant example: “… although a loudspeaker may be displayed from the actual location of a visual image on a television or movie screen, we can easily imagine the sound as coming from an actor’s mouth or from a passing car” (Begault 1994, 15). This is also noticeable in the performance of electroacoustic music when frontal visual attractions affect the perception of sounds originating from behind. Stockhausen found visual elements in a concert situation disturbing, especially with respect to the perception of distance. Another example marking the priority of visual perception takes form in the term Ventriloquism Effect (Begault 1994, 84), which holds that when visual and aural perceptions do not match each other, the spatial perception of visual factors will dominate. It is not by chance that attendees at performances of musique acousmatique prefer a dark atmosphere with visual influences reduced to a minimum. For example, the concert series Rien à Voir (held annually in Montréal from 1996–2004) emphasized this type of restrictive setting, where the absence of visual representation is even reflected in the title of the series, “nothing to see”. 3[3. The term is a double-entendre in French, also meaning that one thing has “nothing to do with” another, e.g. Cela n’a rien à voir avec…] In an effort to create an imaginative sound environment, musique acousmatique attempts to break from the visual world at the outset. The equation of the terms musique acousmatique, musique de son fixés, and pure loudspeaker music — in which the audience loses contact with the real in various ways — generalizes the concept of this music as a domain where content will quite consciously be avoided and listeners are to rely only on the absence of contact. Denis Smalley writes: “at its simplest, the adjective acousmatic may be applied to the process of apprehending any sounds whose source is invisible” (Smalley 1991, 21). In this sense we could understand a Beethoven symphony projected over loudspeakers to be just as acousmatic as a composition by Francis Dhomont. The role of subjectivity as an important component in musique acousmatique has already been mentioned. Francis Dhomont departs directly from this subjectivity and defines acousmatic art as follows: “Acousmatic art is the art of mental representations triggered by sound” (Dhomont 1995, 50). Musique acousmatique describes not only a hearing situation in which the original sound sources remain invisible, but also a music style that began in the 1970s after overcoming the initial theoretical and technical problems marked by the discoveries of musique concrète. The starting point in the definition of musique acousmatique as a style is the breadth of expression possibilities by means of which sound morphology — or as Smalley calls it, spectromorphology — can provide a wide spectrum of abstract and real sound atmospheres. Two inherent qualities of sound — i.e., the power of raising dual associations and the anchoring of a sound in reality — have inspired different musical concepts. Musique acousmatique is a good example of the application of defamiliarized sounds in order to provide a virtual sound atmosphere in which “the listener’s aural imagination can be drawn into personal, psychological realms quite different from other musics” (Smalley 1991, 21). The idea is based on human capabilities that interpret unreal sound structures arbitrarily and connect real and virtual worlds. But the emergence of a composition has two sides. Indeed, spectromorphology forms only the technical means for the production of music. Reception and perception of the temporal development of the morphological figures are, on the other hand, based on the mental ability of the listener to connect distorted aural images to a corresponding reality. So it is about the revival of a reality (not necessarily the original one) in the mind of the listener, based on sound material that once existed but has lost its identity. Patrick Ascione describes this process as the presentation of an illusion, the embodiment of a dream which is marked individually and differently by every composer (Ascione 1998). In the acousmatic world of ideas, space has a special position. Dhomont distinguishes between three types of space: le figuratif, le symbolique, and l’artificiel (Dhomont 1988, 37). According to Dhomont, musique concrète is the best example of figurative space, in which the composer is still connected with the main ideas of instrumental music. Musique concrète goes a step further to explore undiscovered areas of instrumental music, and moves gradually away from real space. Dhomont considers figurative space to be real space that (despite different transformations) remains faithful to its anecdotal properties. At the same time, it is distinguished from pure landscape space by mutations — like jumps in the virtual world of sound. Figurative space also marks the beginning of a virtualization concept, which has played a crucial role in the development of musique acousmatique. Figurative space can be recognized in many musique concrète works. 4[4. See, for example: Pierre Schaeffer — L’Etude aux chemins de fer (1958); Philippe Carson — Turmac (1961); Michel Chion — Requiem (1973), and La Tentation de Saint Antoine (1984); Francis Dhomont — Signé Dionysos (1986/89); Jean-Claude Risset — Sud (1985); Michel Redolfi — Desert Tracks (Mojave, Death Valley, Palm Canyon) (1987/88).] With the term l’espace symbolique, Dhomont comes closer to musique acousmatique. L’espace symbolique not only marks the entrance of musique concrète into a new development phase of Paris-based electroacoustic music, it exceeds the systemic limits that were set for centuries by instrumental music. These spaces are used together with sound metamorphoses to build a virtual world of ideas that is beyond tangible reality and establishes its own criteria. 5[5. See, for example: John Cage — Imaginary Landscape (1952); Karlheinz Stockhausen — Telemusik (1966); Christian Clozier — Quasars (1980); J.F. Minjard — Peur dans l'escalier (1986); Francis Dhomont —Sous le regard d’un soleil noir (1981), Citadelle; Robert Normandeau — La Chambre blanche (1986); Annette Vande Gorne — Noces noires (1986).] L’espace artificiel means simulated space. The realization of such spaces has become possible only in computer-based music. Indeed, one can consider space synthesis or space simulation as one of the indicators of computer-based music. Although computer technology has been an important pre-condition for developing the technical requirements of musique acousmatique, space simulation doesn’t find its true place in this music. This is also true for musique concrète, which is conceptually distanced from music based on synthetic sounds. Many examples show that composers of musique acousmatique take advantage of the creative utility of these spaces. Nevertheless, that is not to say that the use of synthetic spaces amounts to a characteristic feature of this music. Dhomont traces the idea of using artificial spaces in electroacoustic music back to psychoacoustics and synæsthesia. In analogy to film, painting and sculpture, two- and three-dimensional movement is introduced in the context of music (ibid., 38–39). Unlike authors who link the categorization of space types with the objective conditions of the listener-sound-projection relationship, there are some who view the variety of spatial possibilities as a result of different subjective experiences of space. In this context, different kinds of psychoacoustic factors come into question, which foregrounds the relationship between audience and performance instrument. Smalley speaks of objective stimulations in an experimental network, and defines the relationship of the listener to the whole as indicative (1991, 21). Le geste : la mise en valeur cinétique des dynamiques et des déplacements d’objets (travelling) par la dextérité à la console, le mouvement bien dosé en fonction de l’esprit de l’œuvre. Although Patrick Ascione believes that “Rien ne prouve non plus que l’intérêt de l’acousmatique soit de reproduire des espaces et de créer des paysages virtuels, internes aux œuvres, plutôt que de penser ces œuvres pour l’Espace !” 9[9. Nothing at all proves that the interest of acousmatic composition is to reproduce spaces and to create virtual landscapes as content of the works, as opposed to thinking about such works in terms of Space!] (Ascione 1991, 70), we must admit that most musique acousmatique works are not composed for a specific performance space, nor do they typically require strict acoustic pre-conditions. Because of this ambiguity, the performer plays a crucial role in correcting any undesirable acoustic characteristics of the performance space and bringing about a live space-sound relationship between the audience and performing instrument. In this context, Smalley formulates the relationship between the composed and performance spaces using concepts such as diffused space and spatial consonance / dissonance. These concepts mirror the non-compliance or conformity of space (Smalley 1991, 121). Dhomont also characterizes the diffusion of musique acousmatique via a comparison to film projection. He highlights the role of the performer, thus pointing to the vitality of music (Dhomont 1988, 17). Normandeau considers the performance of an acousmatic work to be a ritual 10[10. 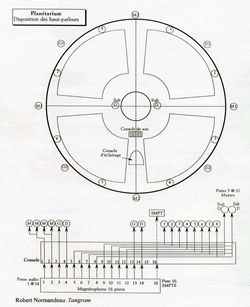 Mauricio Kagel has compared the concert with a ritual as well. ], and writes: “Acousmatic diffusion will come of age as a ritual when its proponents question the relationship of the public to the diffuser, and the public to the loudspeakers” (Normandeau 1988, 32). More specifically, however, Bayle explains how a performer can actually influence the “delivery” of musique acousmatique in a concert situation. He draws attention to the sculptural qualities of sound, and sees space as paysage morphogénétique — that is, as a figure engendering a landscape that in turn characterizes itself by external contours, density, impact, volume, movement and speed (Bayle 1988 and 1999). Many composers have composed multi-channel acousmatic works, notably, in Canada, Christian Calon and Robert Normandeau. For Normandeau, multichannel composition is extremely meticulous work, and this has significantly affected his working method. He feels frustration from the fact that his multichannel works are often produced in stereo format. Because of standardization, commercial media and radio versions are usually stereophonic. The only means of experiencing such compositions in their original form is via live performance in specific listening halls using advanced equipment. Performance of multichannel compositions with a multi-speaker system remains problematic in common performance spaces. Among Normandeau’s multichannel compositions are Bédé (1990), Eclat de voix (1991), Tropes (1991) and the 16-channel work Tangram, which was first performed in 1992 in the Dow Planetarium in Montréal. It has already been established that creators of musique acousmatique prefer to project a stereophonic composition over a multi-speaker system. 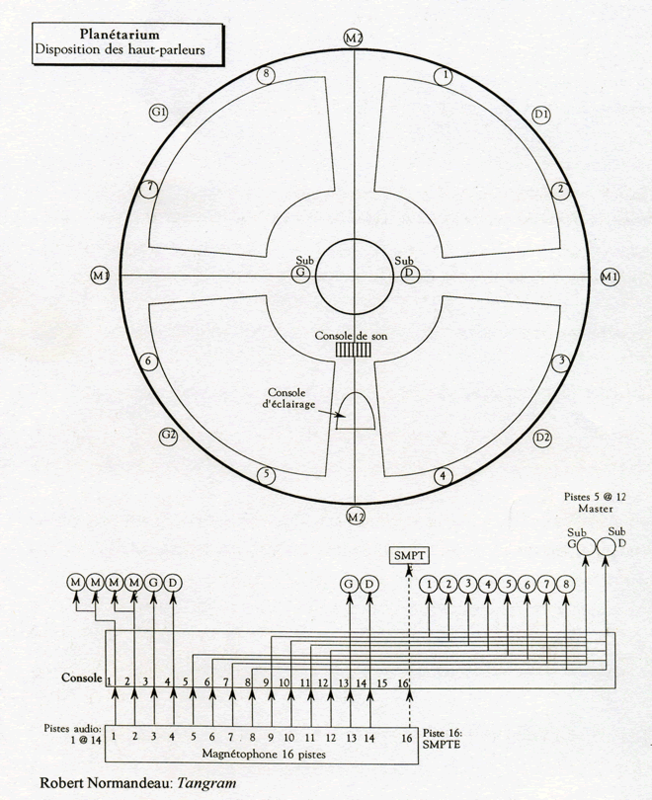 The need to develop a solid instrument for the performance of acousmatic works has given rise to new considerations, which in the early 1970s resulted in the concept of a performance instrument called the Acousmonium. The idea of the Acousmonium is based on a frontal view of scenic activities, which (because of its similarity to the concept of Italian theatre) is called Italian, as opposed to surround or periphony. Bayle’s decision to situate a loudspeaker orchestra on the stage is mainly dependent on the fact that many acousticians believe spatial hearing in the forward direction encourages the most regular and sophisticated spatial perception on the horizontal level. The role of Latin tradition and the dominance of theatrical representations should not be ignored. Another reason has been the lack of a musical organization for musique acousmatique. Merlier states: “Il y a dix ou vingt ans, la musique acousmatique avait un besoin essentiel de centres de création. Aujourd’hui, elle souffre du manque de centres de diffusion” 17[17. Ten or twenty years ago, the music had an essential need for centres supporting acousmatic creation. Today the music suffers from a lack of centres supporting its dissemination.] (Merlier 1999). With the Acousmonium in Olivier Messiaen Concert Hall in Paris, and the organization of annual concerts, an attempt has been made to build a permanent centre for musique acousmatique. François Bayle establishes the need for the Acousmonium on two grounds. First, he assumes that the dynamic character of the music in general requires a symmetrical distribution of technically identical speakers. Second, he believes that narrativity — a character-building factor in musique acousmatique — needs a spatially dispersed loudspeaker orchestra upon the stage which is capable of expressing and representing the inner structures of the music space (Bayle 1999). Although the idea of a frontal performance system is criticized because of its renunciation of the so-called point excentré — i.e., lateral sound localization and sound positioning on the median level espoused by composers and performers who prefer a surround, hybrid or periphonic system — the Acousmonium is nevertheless supported by the majority of musique acousmatique composers. In comparison with other systems, most composers consider the Acousmonium to be an appropriate system for musique acousmatique without major drawbacks. For example, for Vande Gorne, the Acousmonium is “le prolongement naturel des images (i-sons), signes et illusions de perception inscrites sur le support-son” 18[18. … the natural extension of images (i-sons) symbols and perceptive illusions recorded on the support material.] (Vande Gorne 1988, 45). She says that while a surround system better suits music based on synthetic sounds, a frontally positioned loudspeaker orchestra answers the needs of a musique acousmatique composition more satisfactorily. 19[19. In a workshop in Montréal, February 1998.] Gabriel Poulard sees the strength of the Acousmonium in its major technical possibilities, its expression of the virtual stereophonic sound image, its creation of a differentiated impression of space and its independence from musical content. He fully supports the idea of a frontal performance system and believes that the effort of many composers to realize three-dimensional sound projection has not led to much success (Poulard 1991, 28). Space in musique acousmatique compositions is not only an inevitable universal musical structure that is unconsciously included in each composition, it is a full-fledged compositional tool. Similar to harmony, diastemic patterns, dynamics, and temporal structures, it will continue to be stylistically composed. Works within the musique acousmatique genre show a clear tendency for certain spatial concepts. Composers have a proclivity for transforming sounds and developing narrative musical languages from sound morphology. Here, space is given an imaginary quality via different types of transformation that (with exceptions) will be most faithfully projected on a frontally positioned stereophonic loudspeaker orchestra. Ascione, Patrick. “La Polyphonie Spatiale.” In Francis Dhomont (Ed. ), Lien (1991) — “L’Espace du Son II”. Bayle, François. “L’odyssee de l’espace.” In Francis Dhomont (Ed. ), Lien (1988) — “L’Espace du Son I”. Begault, Durand R. 3D Sound for Virtual Reality and Multimedia. AP Professional, 1994. Blauert, Jens. Räumliches Hören. Stuttgart: S. Hirzel Verlag, 1974. Calon, Christian. “Interview mit Stephan Dunkelman.” ACME — Atelier Créatif de Musique Electroacoustique 141 (1993), p. 31. Copeland, Darren. “Cruising for a Fixing in this Art of Fixed Sounds.” Musicworks 61 (Spring 1995). Dhomont, Francis (Ed.). Lien (1988) — “L’Espace du Son I”. Ohain, Belgium: Musique et Recherches. _____ (Ed.). Lien (1991) — “L’Espace du Son II”. Ohain, Belgium: Musique et Recherches. Doherty, Douglas, and Ron Berry. “Sound Diffusion of Stereo Music over a Multi Loudspeaker Sound System: From First Principles Onwards to a Successful Experiment.” SAN Journal of Electroacoustic Music 11 (May 1998). London: Sonic Arts Network, pp. 9–11. Duchenne, Jean-Marc. “Habiter L’Espace Acousmatique.” In Francis Dhomont (Ed. ), Lien (1991) — “L’Espace du Son II”. Gottwald, Clytus. “Gustav Mahler und die musikalische Utopie: I. Musik und Raum — Ein Gespräch zwischen György Ligeti und Clytus Gottwald.” Neue Zeitschrift für Musik 135, Nr. 1 (January 1974). Kendall, Gary. “Visualization by Ear: Auditory Imagery for Scientific Visualization and Virtual Reality.” Computer Music Journal 15/4 (Winter 1991) “Dream Machines: John Pierce at 80”. Minjard, Jean-François. “Stereo ou Multipiste?” In Francis Dhomont (Ed. ), Lien (1991) — “L’Espace du Son II”. Minsky, Marvin. “Music, Mind, and Meaning.” In Curtis Roads (Ed. ), The Music Machine: Selected Readings from Computer Music Journal. Cambridge MA: The MIT Press, 1989. Poletti, Mark A. 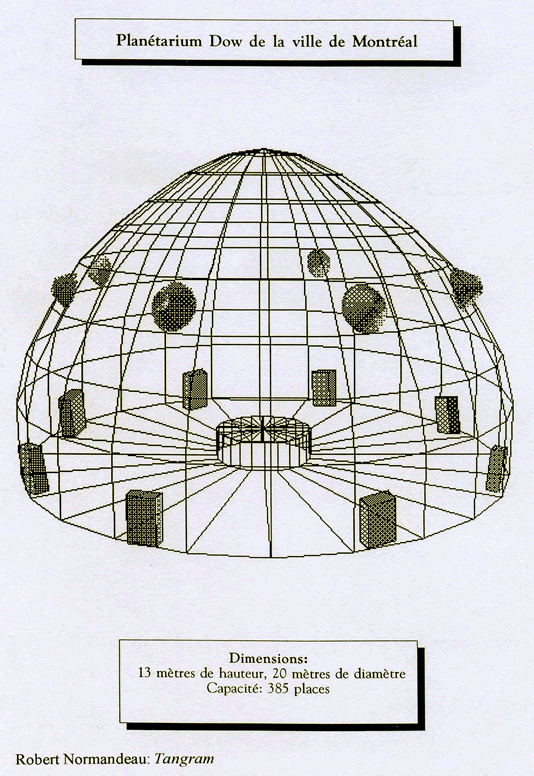 “An Assisted Reverberation System for Controlling Apparent Room Absorption and Volume.” Proceedings of the 101st Convention of the Audio Engineering Society (Los Angeles: Los Angeles Convention Center, 8–11 November 1996). Poulard, Gabriel. “Sortir de la Salle de Concert.” In Francis Dhomont (Ed. ), Lien (1991) — “L’Espace du Son II”. Ohain, Belgium: Musique et Recherches, 1991. Schlemm, Wilhelm. “Raum und Musik in der elektronischen Übertragung: Ein Beitrag zur Frage der Hörsamkeit.” Neue Zeitschrift für Musik 133/4 (April 1972) and 133/5 (May 1972). Schäfer, Sabine. The Spiritual Location of Sound (1993), 3D-Klang-Environment für eine 16-gliedrige Lautsprecher-Installation. Documented in TopoPhonien, Ein künstlerisches Entwicklungsvorhaben. Edited by Sabine Schäfer. Karlsruhe: Sabine Schäfer, 1994. Stockhausen, Karlheinz. “Musik im Raum.” Texte zur elektronischen und instrumentalen Musik. Du Mont Schauberg, 1963. Theile, Günther. “On the Naturalness of Two-Channel Stereo Sound.” Journal of the Audio Engineering Society 39/10 (October 1991), pp. 761–67. Vande Gorne, Annette. “Les Deux Cotes du Miroir: La Mariee Est-elle Trop Belle?” In Francis Dhomont (Ed. ), Lien (1988) — “L’Espace du Son I”. _____. 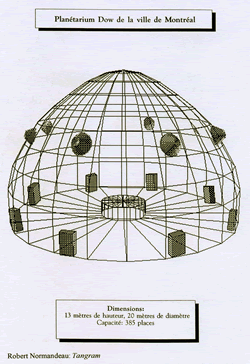 “Espace et Structure, propositions pour une écriture de l’espace.” In Francis Dhomont (Ed. ), Lien (1991) — “L’Espace du Son II”.